Measure from -20 to 260°C (-4° to 500°F) with the press of a button. 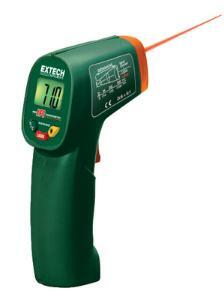 This infrared thermometer registers temperature after users simply press the trigger and point it at a target. The easy-to-read LCD screen displays the results. The distance-to-target ratio is 6:1.